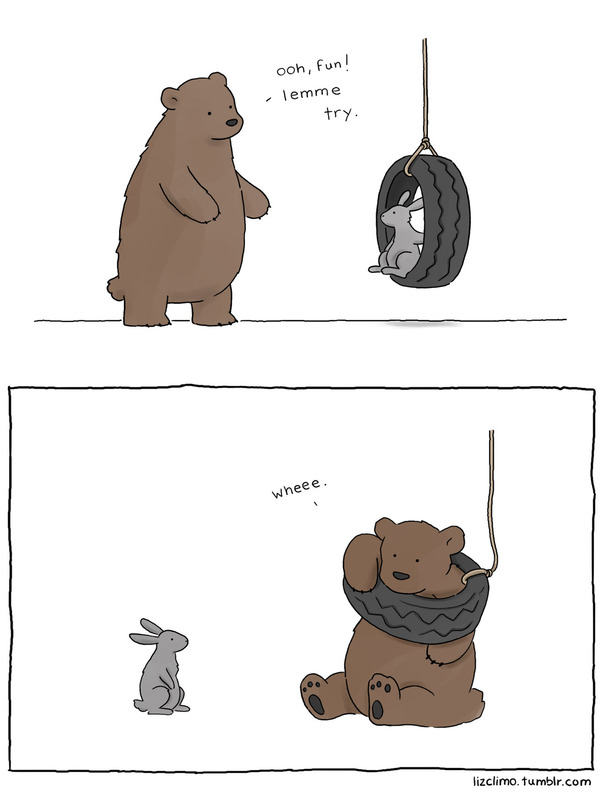 When not working as a storyboard artist for The Simpsons, Liz Climo is creating some of the funniest and most heartwarming comics on Tumblr. 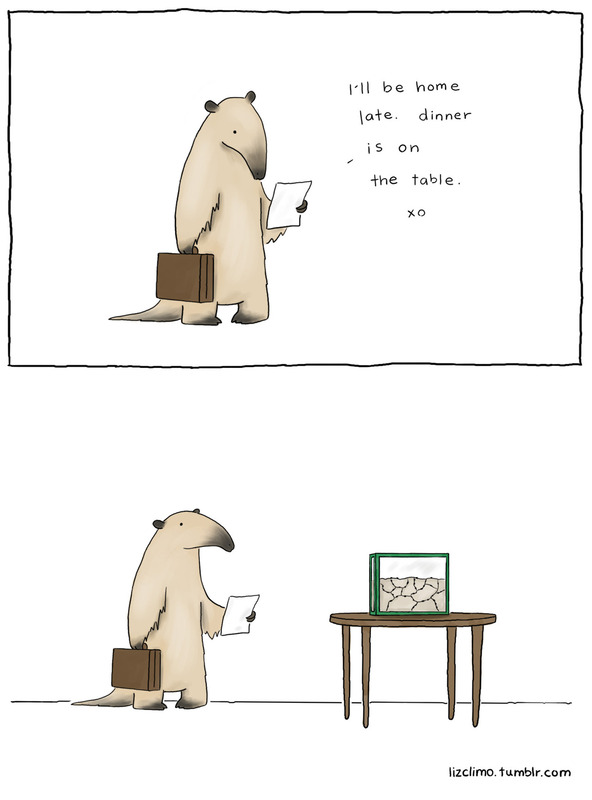 Artist Liz Climo spends her life between two dream worlds. During the day she’s in Springfield, the fictional American city from The Simpsons where she works as a storyboard revisionist. At night, she sojourns a colorful world full of talking dinosaurs, birds, and bears as a Tumblr comic artist. Climo’s comics reflect a childhood love for animals that has followed her through adulthood. Her quaint illustrations feature delicately drawn animals chatting about life’s foibles, the latest celebrity gossip, and the Mars rover landing—just like everyday people. 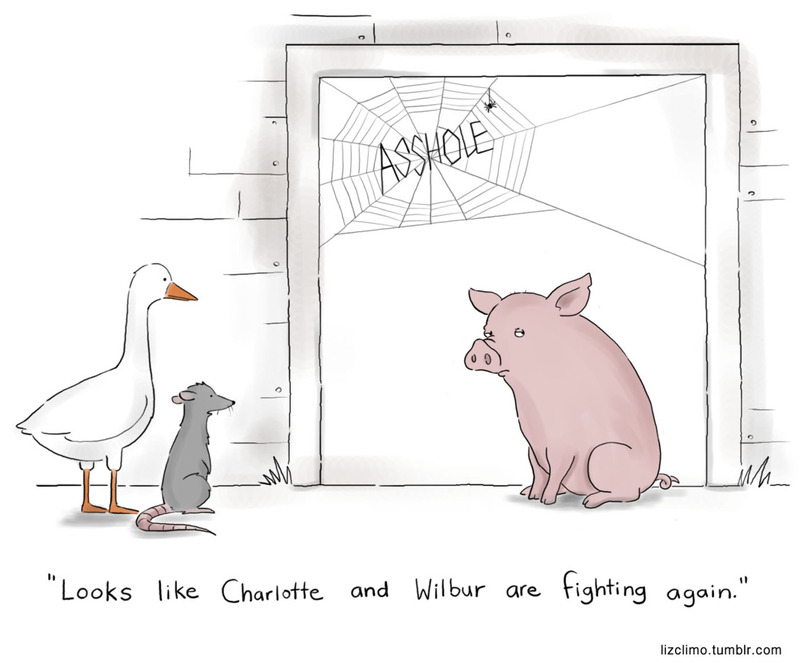 Instead of featuring these animals in their natural habitats, Climo’s comics often have no setting, forcing the readers to use their own imaginations. Climo has always been immersed in art. Her grandmother wrote children’s books. Her mother and sister both worked as illustrators. And her sister, Mary Alice, was married artist Mark Rothko. Inspired by her favorite childhood comic Calvin and Hobbes, Climo applied—but wasn’t accepted—to San Jose State University’s animation program. That missed opportunity, however, turned out to be a blessing in disguise, leading to an opportunity to audition for The Simpsons. Now eight years later, Climo works a storyboard revisionist, cleaning up characters to screen at Fox. In her free time, she creates comics. But like many artists, Climo did not share her work with the world until her husband Colin inspired her to start a blog to feature her illustrations. She ended up choosing Tumblr, where she hit eventually hit it big with her turtle and rabbit comic in March. Climo’s comics collect thousands of notes a day. In August alone, her 11 illustrations have collected more than 110,000 notes total. Like the animals in her comics, the entire experience has been surreal.